Thank you for posting. Your post is very important to me. Please hold while I generate the appropriate amount of enthusiasm to express how much I appreciate this post. Seriously. I work in a call center, although I am happy to say I am no longer one of the unlucky who actually answer the phones. 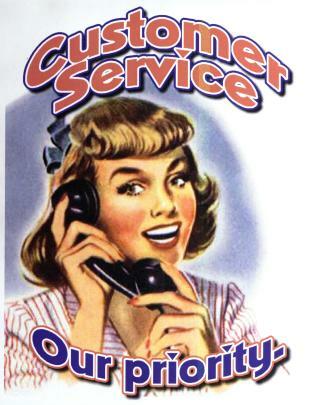 If everyone could experience “bad” customer service from both ends of the phone at least once in their lives… well, that would be quite enlightening, I think. I feel your pain. I have also worked customer service. Can be quite entertaining at times. wow…if I ever talked with you and got nasty I apologize…but I only remember getting really pissy with one “satelite company” a few years back and the 16th rep in 3 hours hung up on me…then I got pissed…I can only imagine the “psyche warfare” (love that phrase by the way)…have a great one and look forward to more stories. Sometimes you get a call where you want the call to be broadcast instead of playing hold music. Liebe Petra,wow, da spricht auf jeden Fall eine Menge neue Energie heraus. Schade, dass Du das was abfÃ¤llt nicht verheizen kannst. ;)Ich drÃ¼cke Dir die Daumen fÃ¼r die laufenden Bewerbung! Dass Amanda nun versinkt, finde ich allerdings schade.Liebe GrÃ¼ÃŸe,NikolaP.S. Du jetzt auch – diese schreckliche Roboter-PrÃ¼fung? Bitte nicht! People fear that leap of faith, fear the Almighty, all Powerful God, because “He will change their life” and most people look at the change as a loss!!! They couldn’t be more wrong. uita foarte usor atitudinea ctp-ului din vremea cand lucra la ADEVARUL.Cand Hrebe i-a promis un ajutor, nu mai era “guzganul rozaliu”, a devenit astfel dupa ce nu s-a tinut de cuvant.Deh, nu l-o fi inteles pe vremea aia… Ce fluctuatii are inteligenta unora, domne…Oare functie de ce ?